As you may have already noticed, we are very into Emergency Preparedness in this big family of ours. A few of us in the younger generation even grew up with boxes of food storage under our beds. Some might call it extreme, but I can’t tell you the peace of mind we always had knowing we’d be okay if our dad lost his job (which he did. twice.) or if we had some sort of disaster or emergency. It gave me comfort heading away to college and away from my very well prepared home, having my 72-hr kit in tow. It’s been several years now since I’ve left home though and now I have a little family of my very own. My husband didn’t have a 72 hr kit and mine was in much need of updating. I hadn’t really thought about it or worried too much until we had our baby and I imagined something happening and not having the supplies I needed for him. So while I’ve been slowly putting mine and my husbands kits together, I’ve also been getting one together for our little man. I think it’s important, when gathering emergency preparedness supplies, to not get too crazy. Keep it simple if you can, at least in the beginning, get what’s most important and continue to add stuff gradually if your budget allows it. This is a survival kit so clothes and things don’t need to be fancy. 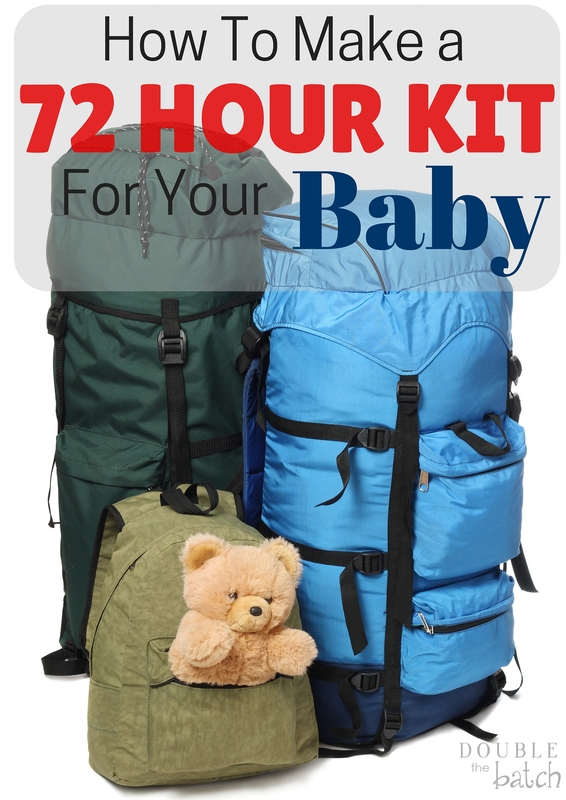 The tricky part about doing a kit for a baby is that they are pretty fast growing and so any clothes and diapers you put in (as well as food and water) need to be updated about every 6-12 months (depending on what size you put in). So here is a list I’ve compiled of things I’ve added (and will continue to add with time) in my baby’s 72 hr kit. I would recommend putting Cloth diapers in. 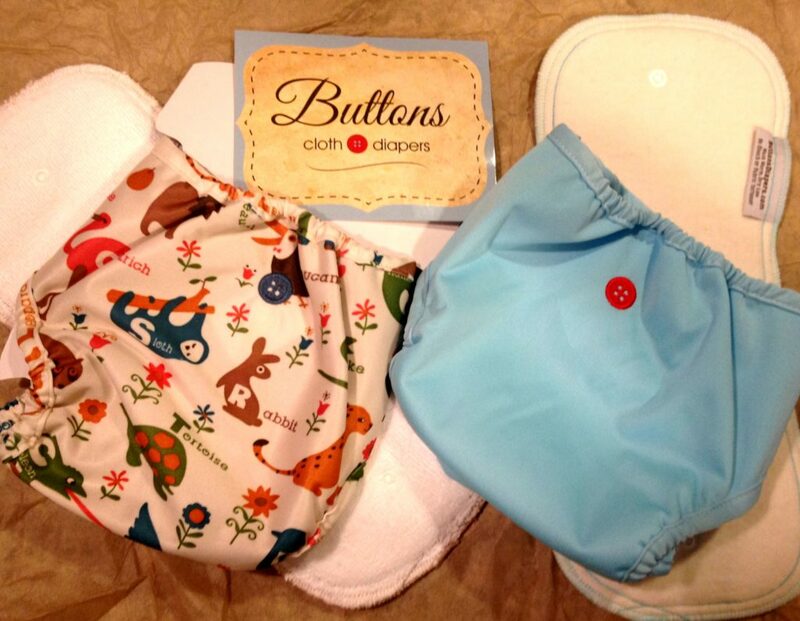 Buttons Cloth Diapers sent a few of theirs for us to try out and I think they are not only affordable and practical but adorable! 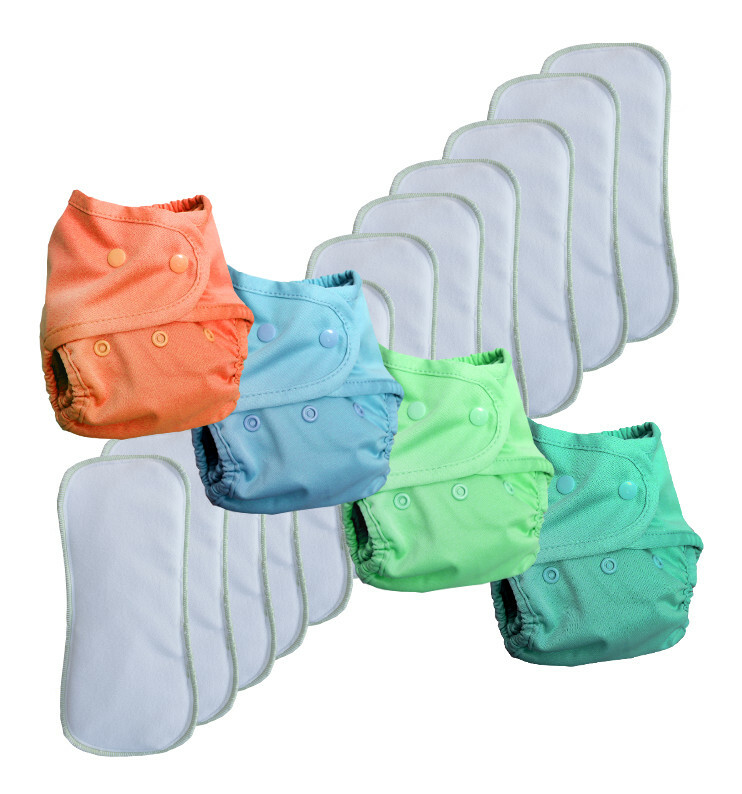 Cloth diapers are a good choice for 72 hr kits because they are soft and sensitive on baby’s skin and you will only have to switch out the size once, because the snaps adjust with the baby’s growth. It will also be comforting to know that if your emergency is longer than 72 hrs, you will have diapers for however long it takes. If you decide to go that route, you can see how many you would need for 72 hrs on their website here. baby food: (even if you breastfeed, this is a good idea to have if your husband is watching him when emergency happens) I recommend using baby food pouches, dehydrated food or personally, I packed both! Avoid packing any glass baby foods because of the chance of it breaking and take note of the expiration dates so that you use and replace. 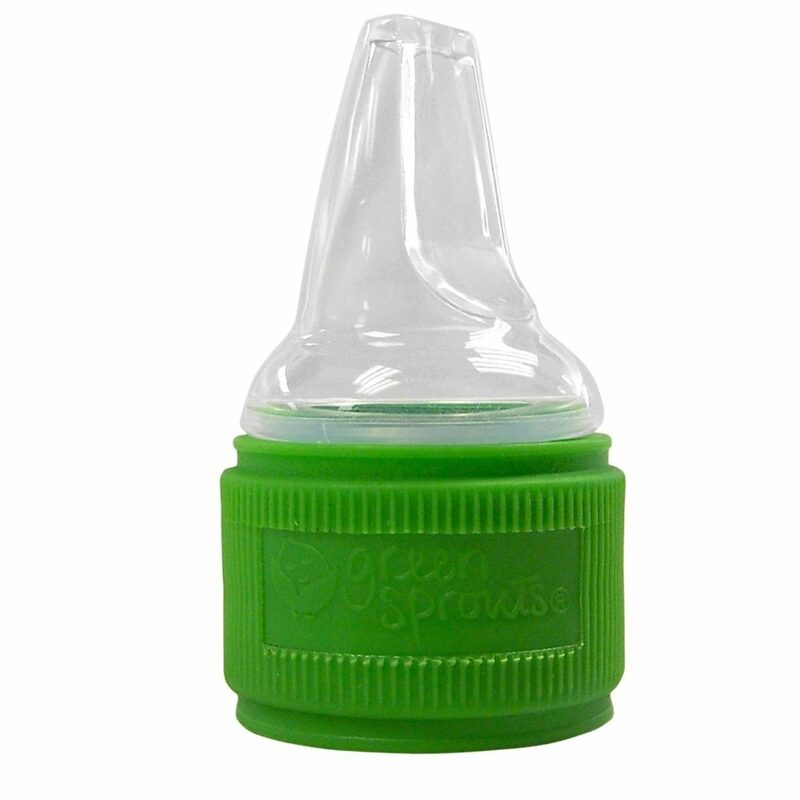 This water bottle cap adapter is super cool and might come in handy in that you can attach it on your water bottle and make it easier for your baby to drink. What would you add that you think is important for your baby in an Emergency? Giveaway! Comment below what diaper cover you would choose from Buttons Diapers and we’ll randomly select 2 winners on October 10th. 1 winner will win their choice of a diaper cover + a microfiber daytime insert courtesy of Buttons Diapers and the other will win their choice of the food dispensing spoon or water bottle cap adapter for their Baby’s 72 hour kit.